Darkness Got a Bad Rap. Have you ever wondered why most of us are afraid of the dark? Were you one of those kids who never looked under the bed at night? Maybe needed a light on until you were older? 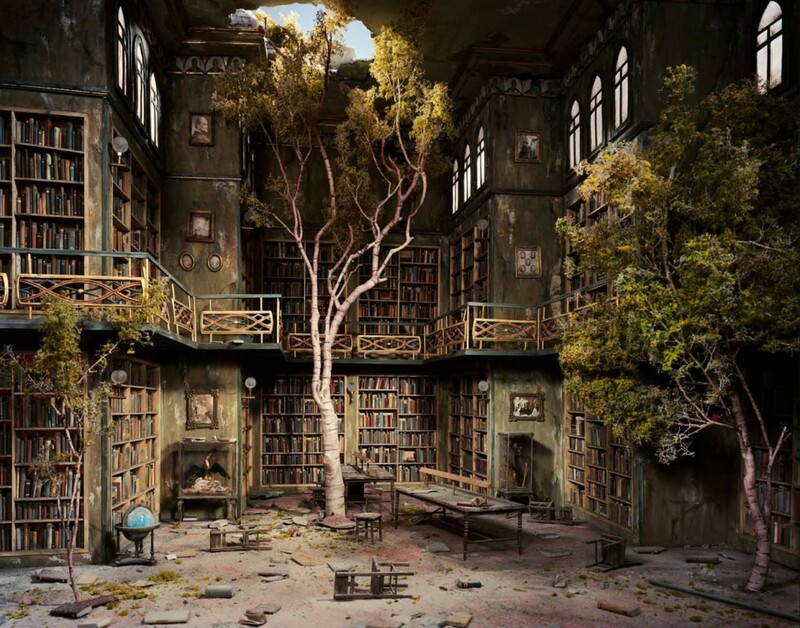 As children, we are naturally fearful of dark places, where unseen things go bump. Dark is everywhere, and there is so much of it. With notable exceptions, life in general is prejudiced to live in the light. We take joy with the spectrum of color, a sparkled reflection, and warmth that radiates from light. We feel at home in the light. Light grows our sustenance. It is a place we raise our families. Our human spirit naturally imprinted wakefulness in daylight, rest when it’s dark. Those who believe we pass to another place when we die are encouraged to seek the light. To seek the dark, implies a sinister place where only bad things reside. We assign the worst of our paranormal beasts to blackened shadows. In many cultures, black is the shade of death. Dark is the place that harbors all our fears, our nightmares, our demons. Dark is cold. For the longest time, dark has been associated with the monochromatic hue of nothingness. Whether your belief structure favors creationism, or evolutionism, most of us don’t realize it all began with dark. Scientists believe light arose from a big bang, sending galaxies of stellar light and matter outward, but that big sea of black between the fires of cosmic light isn’t so vacuous after all. Still a new science, the universe is theorized to be a cosmic ocean of dark matter and energy. Dark Matter as a type of matter hypothesized to account for a large part of the total mass in the universe. Dark matter cannot be seen … its properties are inferred from its gravitational effects on visible matter, radiation, and the large-scale structure of the universe. Dark Energy: A hypothetical form of energy that permeates all of space and tends to accelerate the expansion of the universe. If we buy into Plank’s graph above, all the ordinary matter we can see, measure, and sense, is only 5% of the total universe. Life, chaotic as it is, is an amazing collaboration of that five-percent solution. I like to think of life as the ultimate expression of light. We’re all descended from stars, or at least the same basic building materials, but here’s the kicker. 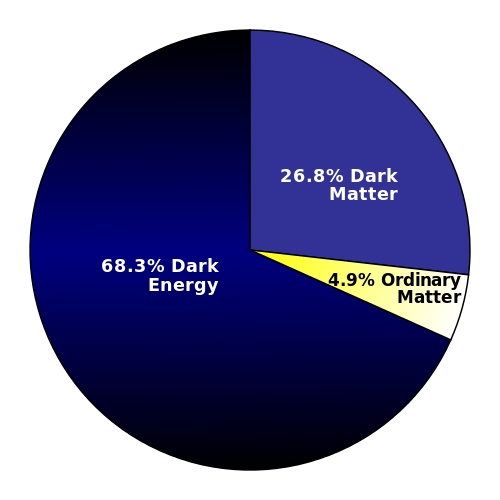 Dark Matter takes up 26%, and the elusive Dark Energy, a whopping 68%. That’s a whole lot of dark out there and it was here first. In one of those feet-up-on-the-desk moments of crazy thought (which could summarize this entire discussion), it had me wondering what really lurks in all that unseen energy that warps space, bends light, kicks whole galaxies off kilter, and scatters the universe like a cosmic Johnny Appleseed. I know one thing. If we didn’t have darkness, writers would have a dickens of a time painting antagonists. Who ever heard of an evil person that was light of heart. Writers need the notoriety of darkness in stories for the cold, creepiness that makes readers leave the lamp on and crave the rescue of morning light. Discovering the existence of dark matter gave us a whole new reason to be scared. In my current project, a teen girl is thrown into an alternate world akin to our middle ages where darkness is not just shadow, but an amorphous, sentient presence. She too, will seek her knight in shining armor, no pun intended, but I’m going to make her work for it. It’s the least I can do to give dark the respect it deserves. Darkness has a bad rap, and we love it. Amazing poSt and such rich material to reflect (pun intended0 upon. I cannot wait to read this book! What an amazing query letter you must have! Thanks Debbie. Agent and I are still working on finding the right home for it. Stay tuned. I personally have always been afraid of the dark – there, I admit it. But I think it’s instinct – as humans we know what to fear. There may be more of it, but for some reason I still believe that dark is the sanctuary of evil. Perhaps it’s not that light was born of darkness, but that some drop of light (us-life) got lost in the darkness – separated from our whole, eternal light, which is somewhere else. One day, maybe we’ll vanquish the dark and be joined back into the light. That darkness is the place where bad things hide, has been ingrained in psyche. I understand the fear and you’re not alone, Marlo. I always wondered what it’s like for people who totally blind since birth. They seem to do well, but then they’ve never seen light. Makes you think. Thanks for commenting. Well said, Mary. I wonder if it’s also because we’re closer to the exit ramp (LOL). I too am way more fretful than I used to be, and I break easier.